Find out what happens when eight extraordinary artisans encounter talented international designers. A dialogue between artisan-designer pairs who have worked together to create lasting objects of beauty especially for Homo Faber. Indoor / Outdoor. Open House: the last light (Interno / Esterno. CasAperta: l’ultima luce) Mosaics A wooden structure has been entirely covered in mosaics. The rough hand-cut marble and stone mosaic exterior of a house-shaped tabernacle contrasts with the very light golden and polished tessera mosaic of the inside. Small polished tiles accentuate this contrast between the interior and exterior. A series of LED lights illuminates the structure from within. Giulio Candussio composes and builds a mosaic on the surface of a wooden structure designed by Ugo la Pietra. The mosaic is made with hand cut marble, stone and glass tesserae. The Ugo La Pietra Archive catalogues Ugo La Pietra’s master works and documents. These are ordered by disciplines: Art, Architecture, Design, Applied Arts, Music, Didactics and Publishing. The archive is open to students, critics and researchers for consultation, and loans can be made upon request. Museums, cultural institutions, private galleries and collectors have assisted in the systematic archiving and cataloguing of the collection. Giulio Candussio composes and builds a mosaic on the surface of a wooden structure designed by Ugo la Pietra. The mosaic is made with hand cut marble, stone and glass tesserae. Giulio Candussio grew up in Spilimbergo, Friuli near Aquileia. Archaeological excavations that began in the 19th century brought to light many remains of the old Roman city including numerous mosaics. Giulio discovered these as a child, and growing up would understand mosaics as art, as an extension of painting. At a young age, Giulio attended the mosaic school of Friuli and his subsequent training was mainly self-taught. 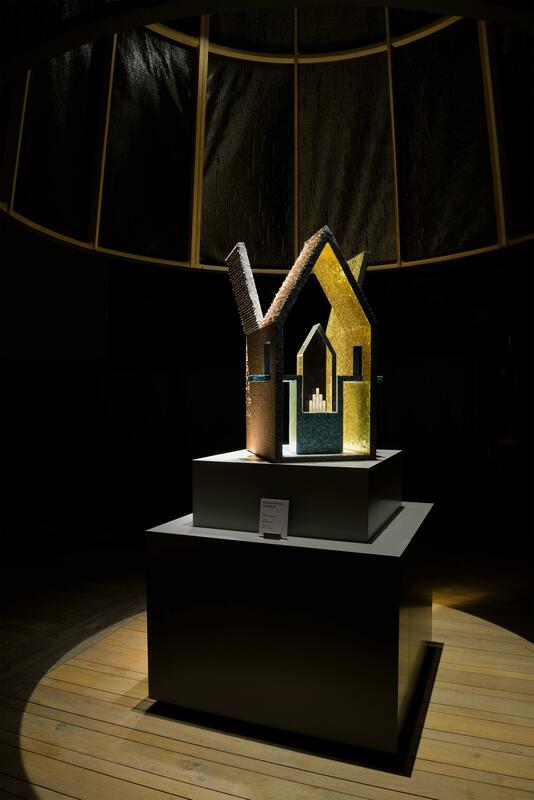 From the first years of study, he developed his own mosaic concept, characterised by a need for constant experimentation with materials and techniques, breaking away from traditional mosaic work. Giulio has worked on projects throughout Italy and around the world. His works include the Tottenham Court Road underground station in London and the temporary World Trade Centre Path Station in New York. The artistic nature of his designs and style characterises his work. Architect by training, Ugo La Pietra is an artist, designer, architect, filmmaker, editor, musician, cartoonist and teacher. Originally born in Bussi sul Tirino, in Abruzzo, Ugo was raised in Milan. In an era characterised by machines and mass production, Ugo has dedicated his career to rediscovering age-old hand-made artisanal techniques. 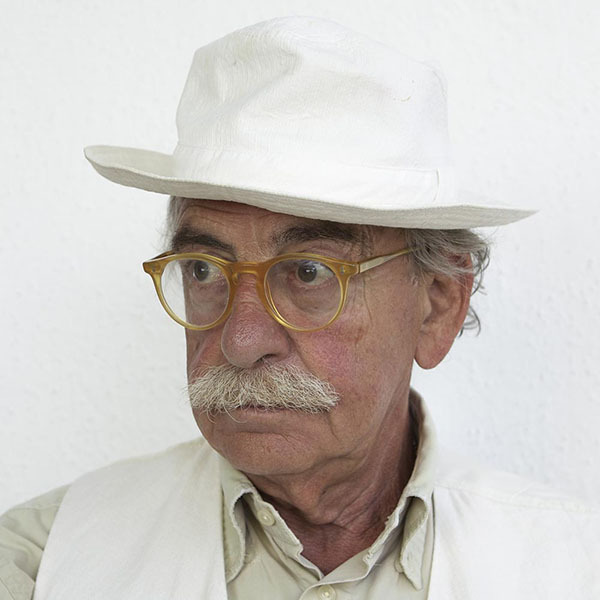 Ugo has exhibited his works both in Italy and internationally and curated numerous exhibitions, including those at the Triennale di Milano, the Venice Biennale, the Musée d’art contemporain de Lyon, the FRAC Centre in Orléans and the International Museum of Ceramics in Faenza. Golden Cage (Gabbiadoro) Cabinet This gilded wood tower or pyramid like sculpture has a dark toned base that gradually becomes lighter towards its cube shaped top. The walls of the sculpture inspired by the image of a church tabernacle shift in such a way that the tower opens diagonally. 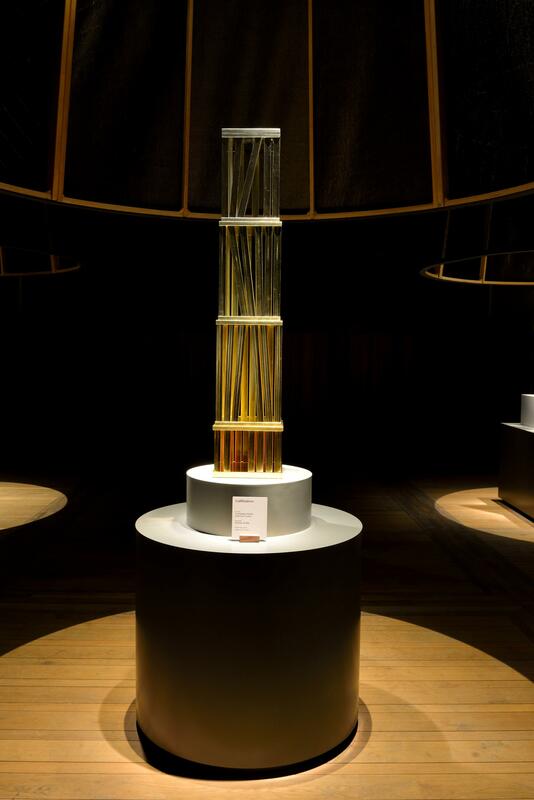 Gabbiadoro (Golden cage), results from the collaboration between French art restoration duo Dominique Monié and Jean-Luc Cesses and designer Martine Bedin. Martine was inspired by the image of a church tabernacle, which seems to hide “secrets” in plain sight. Dominique and Jean-Luc carefully guild the tower in different shades of gold leaf. The workshop "Art and Restoration" was created by Dominique Monié in 1990 in the village of Ste Croix du Mont in Gironde. Since 1991, Dominique has worked on the restoration of historical monuments in a number of churches in Bordeaux and the neighbouring region. She also works on the restoration of gilded wooden furniture such as frames, reliquaries, tabernacles, altarpieces, statues, crosses and processional panels. In 2007 she started to work with Jean-Luc Cesses. Together, they perfect the work of restoration and develop the creation of frames, mirrors, trumeaux and contemporary furniture all made with and thanks to the techniques of gilded wood. The artisans carefully brush gold leaf on the wooden tower. The gold leaf is glued onto the surface of the wood previously covered with a gilding size. The artisans carefully brush gold leaf on the wooden tower. The gold leaf is glued onto the surface of the wood previously covered with a gilding size. The workshop "Art and Restoration" was created by Dominique Monié in 1990 in the village of Ste Croix du Mont in Gironde. Since 1991, Dominique has worked on the restoration of historical monuments in a number of churches in Bordeaux and the neighbouring region. She also works on the restoration of gilded wooden furniture such as frames, reliquaries, tabernacles, altarpieces, statues, crosses and processional panels. In 2007 she started to work with Jean-Luc Cesses. Together, they perfect the work of restoration and develop the creation of frames, mirrors, trumeaux and contemporary furniture all made with and thanks to the techniques of gilded wood. Dominique Monié graduated from the L'Ecole Nationale Des Arts Decoratifs (ENAD) in Nice, in 1979. She dedicated herself to painting until 1986 when an encounter with a craftsman brought her into the world of gilding. She passionately studied the restoration of gilded wood and gilding in general, mastering all the techniques required to work on objects dating from the 17th to 19th century. As well as restoring pieces with traditional techniques, Dominique works on contemporary creations. 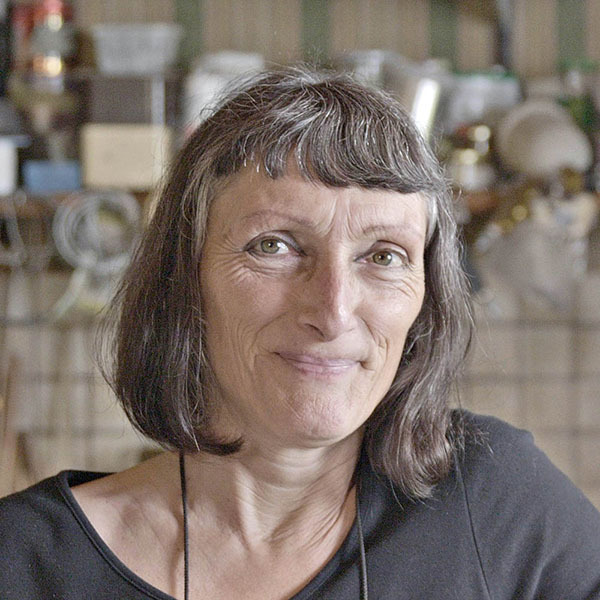 Designer Martine Bedin was born in Bordeaux, France in 1957. She designs work in numerous materials such as marble, wood, metal and ceramics. 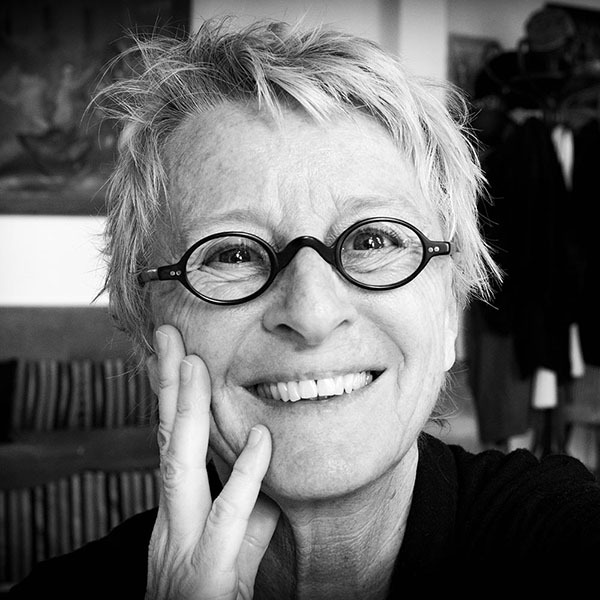 Martine is one of the founders of the Memphis group, founded in Milan In 1981. 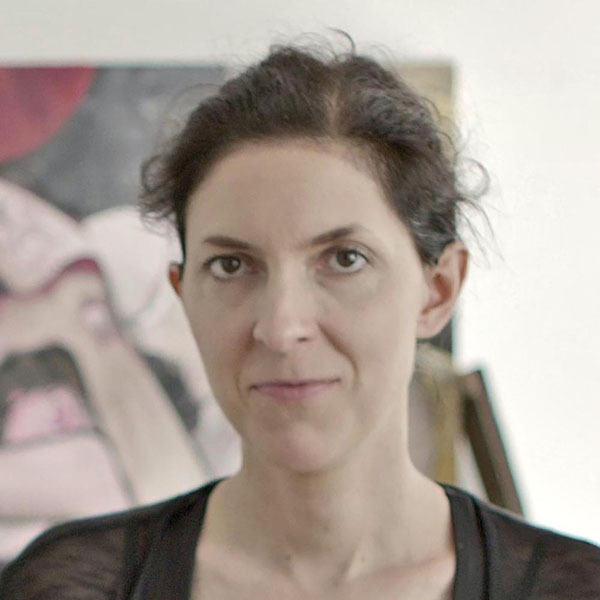 She has worked on numerous projects and collaborated with architects, industrial designers and professors. Her works can be found in a number of museums and collections both in France and around the world. Greyscale cabinet Cabinet This tower shaped cabinet is built in layers (draws). The cabinet is intended to hold greyscale samples that are part of the conservation of photographic images to 3D surfaces. The colour of the surface of the Monochrome Cabinet ranges from black to white. This relationship between tone and depth is of critical importance in an age of digital topography. Based in Madrid, London and Milan, Factum Arte was founded by Adam Lowe in 2001. Factum Arte consists of a team of artists, technicians and conservators dedicated to digital mediation for the production of works for contemporary artists and artisan. This multidisciplinary workshop merges digital technology with craftsmanship. Factum Arte's varied production is the result of extensive research and experimentation in the development of new materials, techniques and technology. The workshop designs and produces new materials, technologies and processes creating innovative artworks, thought-provoking exhibitions and facsimiles. Based in Madrid, London and Milan, Factum Arte was founded by Adam Lowe in 2001. Factum Arte consists of a team of artists, technicians and conservators dedicated to digital mediation for the production of works for contemporary artists and artisans. This multidisciplinary workshop merges digital technology with craftsmanship. Factum Arte's varied production is the result of extensive research and experimentation in the development of new materials, techniques and technology. The workshop designs and produces new materials, technologies and processes creating innovative artworks, thought-provoking exhibitions and facsimiles. Based in Madrid, London and Milan, Factum Arte was founded by Adam Lowe in 2001. Factum Arte consists of a team of artists, technicians and conservators dedicated to digital mediation for the production of works for contemporary artists and artisan. This multidisciplinary workshop merges digital technology with craftsmanship. Factum Arte's varied production is the result of extensive research and experimentation in the development of new materials, techniques and technology. The workshop designs and produces new materials, technologies and processes creating innovative artworks, thought-provoking exhibitions and facsimiles. To make this piece Adam Lowe worked with Francesco Cigognetti and numerous digital and physical artisans. Monochrome Cabinet is an example of CNC milling, casting, flatbed printing, precision wood-working, conservation treatment, mechanical engineering, electrical wiring and manual retouching. 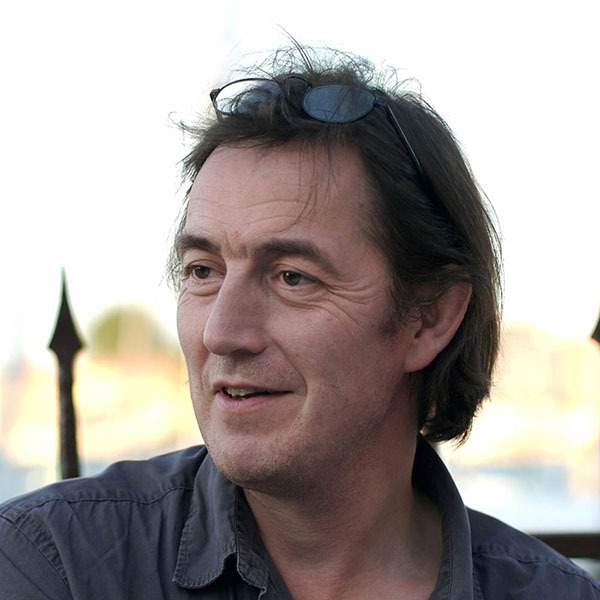 British artisan Adam Lowe is the director of Factum Arte (2001) and founder of the Factum Foundation for Digital Technology in Conservation (2009). 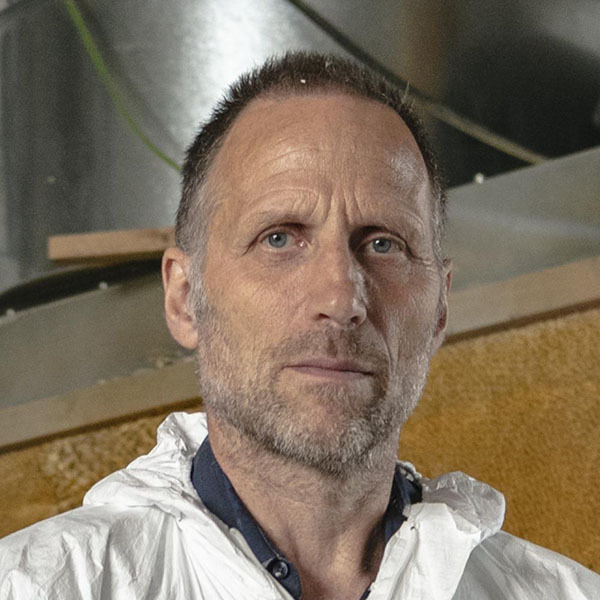 In his role as director of Factum Arte, he has produced artworks for leading contemporary artists including Anish Kapoor, Marc Quinn, Grayson Perry, Cornelia Parker, Shirazeh Houshiary, Maya Lin and Marina Abramovic. 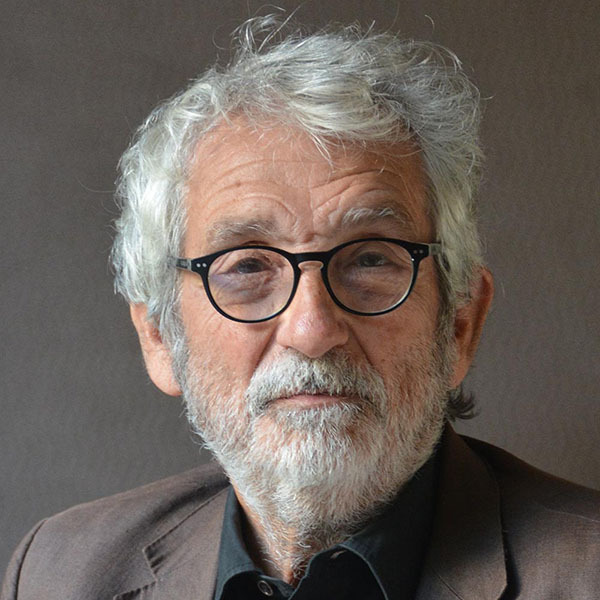 He has completed numerous international conservation projects and his work has been exhibited in many galleries and museums. Francesco Cigognetti was born in Mantua, Italy and trained at the Università Iuav of Venice where he also obtained his Master's in digital architecture, specialising in designing processes. Francesco then went on to work with several architectural firms and workshops around Italy, developing a number of projects along the way related to urban and interior design. Francesco joined Factum Arte in 2012 where he works as a project manager within the production process. He works alongside other artists, creating ideas and designs. He is in charge of the digital processes department and CNC milling machines, working with different materials such as stone, brass, wood, polyurethane and bronze. 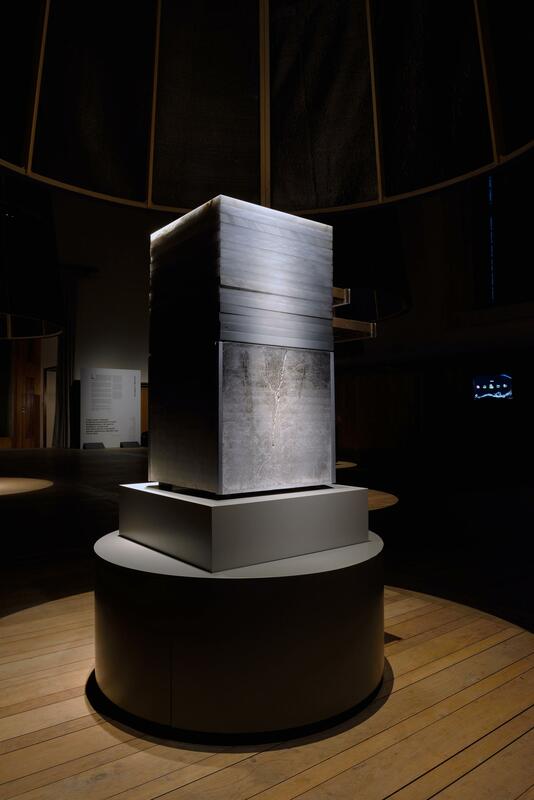 He has participated in numerous projects with Factum Arte including the facsimile of the Teschen table, the facsimile of the Tomb of Seti I and Jenny Holzer's installation at the Louvre in Abu Dhabi. Trinity Cabinet This tall bright pine coloured object made from thin sheets of wood is composed of three interacting elements that form a sort of open vertical tower. The object is reminiscent of the holy trinity, with three distinct elements that combine as one. 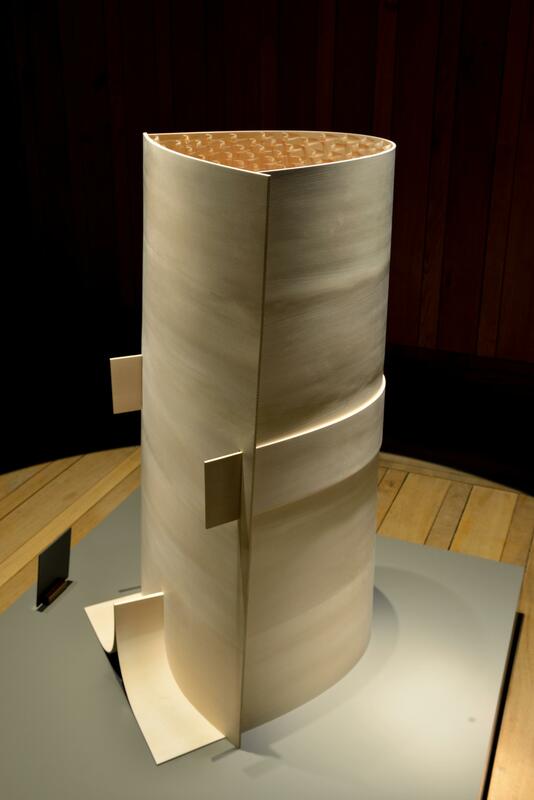 A small LED has been placed at the base of the sculpture emitting a subtle glow. The curved surfaces of Trinity reflect the use of the traditional Swiss technique "Weissküfer". Weissküfer uses light coloured alpine wood that is bent and shaped. Roman Räss was born in Appenzell. Son of a farmer, he grew up working with wood. From a young age, Roman learnt the alpine wood carving technique Weissküfer and would decorate wooden milk dishes with notch carvings. Dating back to the 19th century, Weissküfer is a technique that uses native Swiss woods such as spruce wood and maple to create wooden implements used during the daily work of rural Appenzell dairy farmers. This early interest in woodwork drove Räss to complete an apprenticeship in Weissküfer. To learn more about wood, he attended the wood sculpting school in Brienz. He then worked for a well-known wood sculpting company. 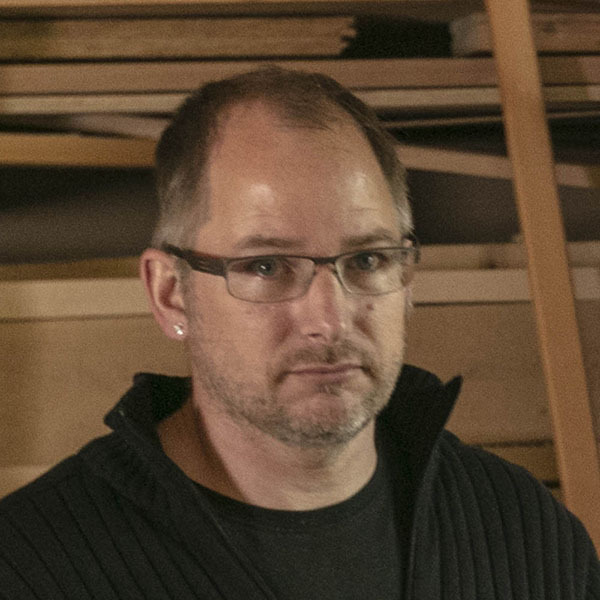 Roman is now a self-employed wood sculptor based in Brienz and principally works creating nativity scenes and Weissküfer objects. Alfredo Häberli was born in Buenos Aires, Argentina, in 1964. 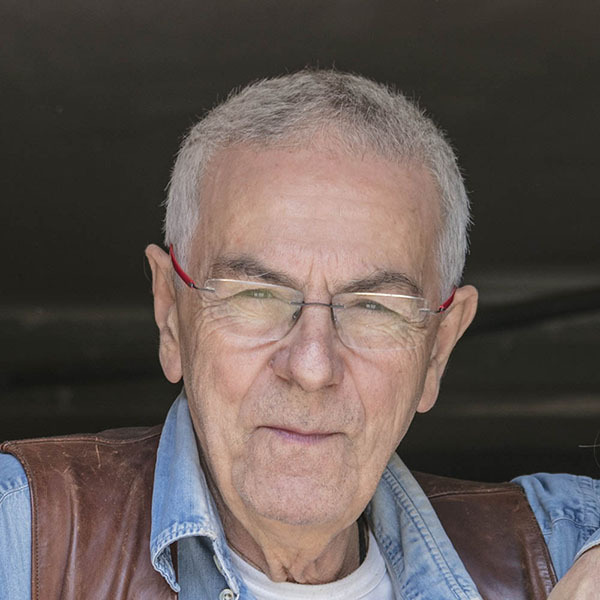 He moved to Switzerland in 1977 and in 1991 graduated in industrial design from the Höhere Schule für Gestaltung in Zurich. 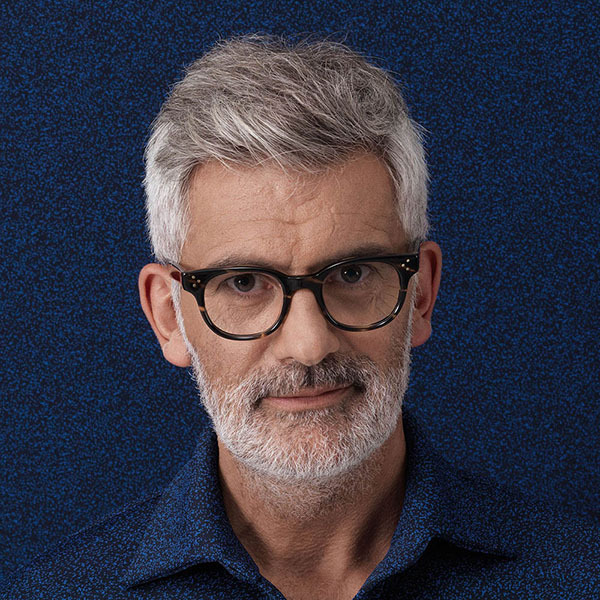 Alfredo is now based in Zurich and is an internationally recognised designer, having worked with such companies as Alias, BD Barcelona, BMW, Camper, FSB, Georg Jensen, Iittala, Kvadrat, Luceplan, Moroso, Schiffini and Vitra. His designs unite tradition with innovation, joy and energy. Alfredo Häberli’s work and designs have been displayed in numerous exhibitions throughout Europe and his work has received numerous awards in Europe over the past 20 years. Finished / unfinished (Endlich-Unendlich - Finito - infinito.) Sculptur A cone-like black net fabric hangs at an angle over a ceiling-hung egg-shaped sculpture. The underside of the net is open, exposing the intense matte blue that is lit up by an invisible light source. A waist high pedestal holds a mirror that reflects the inside of the cone. Enno Lehmann, Martin Deggelmann and Ingo Maurer have collaborated on a number of projects since the 1990s. Ingo designed this piece with a hidden light source. Artisans at Martin's Martelleria manually hammered aluminium sheets to create the egg-like final shape. The outer surface shows the marks of the process. Enno Lehmann prepared the paint for the inside from pure pigments. The special paint catches light in a unique way, giving it a soft appearance. The object is made of aluminium, hammered manually to its final shape. Artisans hammer the metal using Eckold machines, curving a flat piece of metal. The two workmen hold the sheet of metal at each end and run it through the machine at an adapted speed in order to bend it. 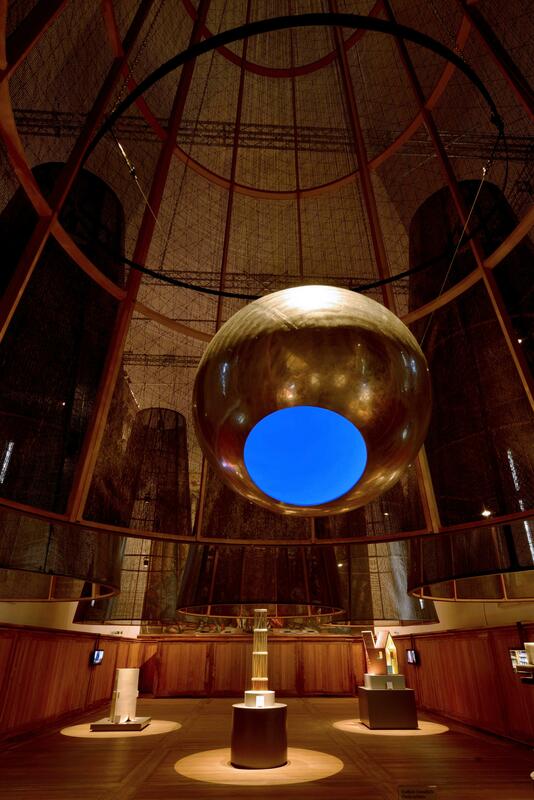 The egg is made of two halfs, each made up of three shaped pieces of metal that have been welded together. The two halves are then welded together. Enno Lehmann was born in 1958. His parents Peter Lehmann and Angelika Lehmann were both sculptors. Enno first undertook four years of studies at an agricultural college and subsequently studied at the Academy of Fine Arts in Munich. Since 1992 Enno has worked as an independent artist exhibiting his works individually in Munich, Freising, Amberg and Worpswede. In 2005 he became a member of the artist group "Buchet 8" and exhibits works with Heike Bildhauer-Lehmann. In 1995, Enno created a company "Colours and Effects" later "Colour" to develop, manufacture and use colour materials. It was while working with “Kremer Pigment” in the late 1990s that Enno came into contact with Ingo Maurer who was looking for a technically useful colour to represent the appearance of dry pigments. Enno has taught at the State Academy of Fine Arts in Stuttgart since 2009. 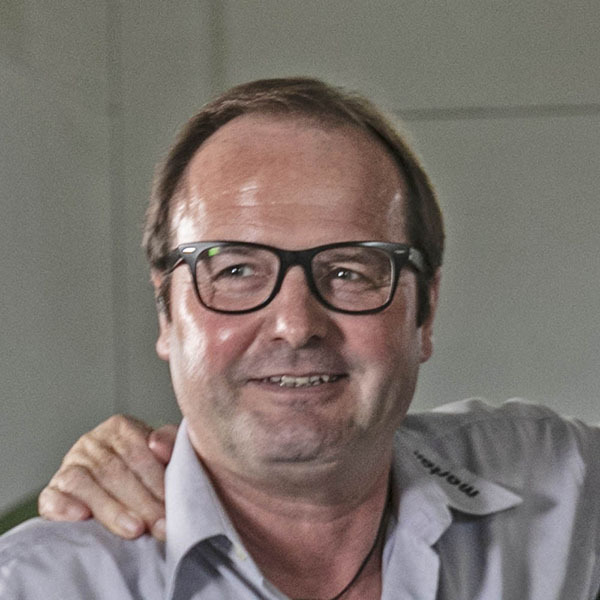 Martin Deggelmann is the founder of metalwork company Martelleria. Mattelleria started by restoring vintage cars, an activity that the company still undertakes to this day, however it has now diversified to work on numerous metalwork projects with designers and architects. Born in 1932, Ingo Maurer first trained as a typographer and subsequently studied graphic design in Switzerland and in Munich. Here, he set up his own company in the 1960s, Design M, to make and market his own designs, the first of which was the celebrated "Bulb", a bulb within a bulb. "Bulb" won a place in the MoMA design collection as early as 1969. In the 1960s and 1970s, Ingo made a name for himself with unusual designs and appearances at trade fairs. Ingo designs lamps, lighting systems and objects and has increasingly exploited the aesthetic effects of LEDs since the 1990s. 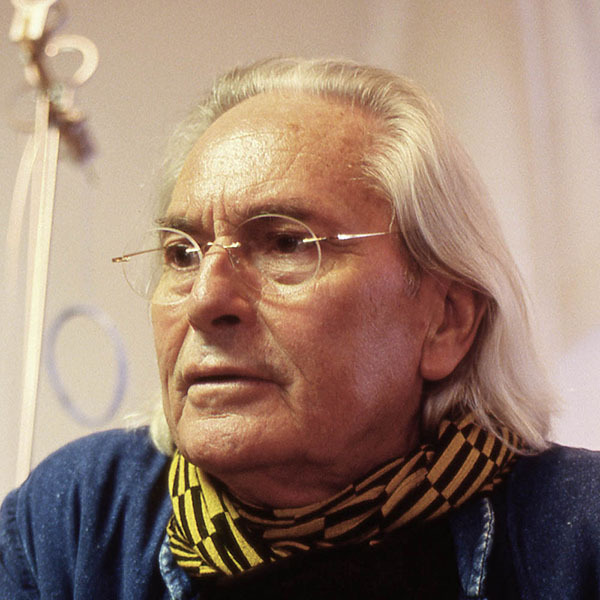 In 2010, Ingo received the Design Award of the Federal Republic of Germany, followed by the Compasso d‘Oro for lifetime achievement, awarded by the ADI (Italian Association for Industrial Design) in 2011 and the Kulturpreis Bayern, awarded by the Bavarian Ministry of Education, Culture, Science and Art in 2015. 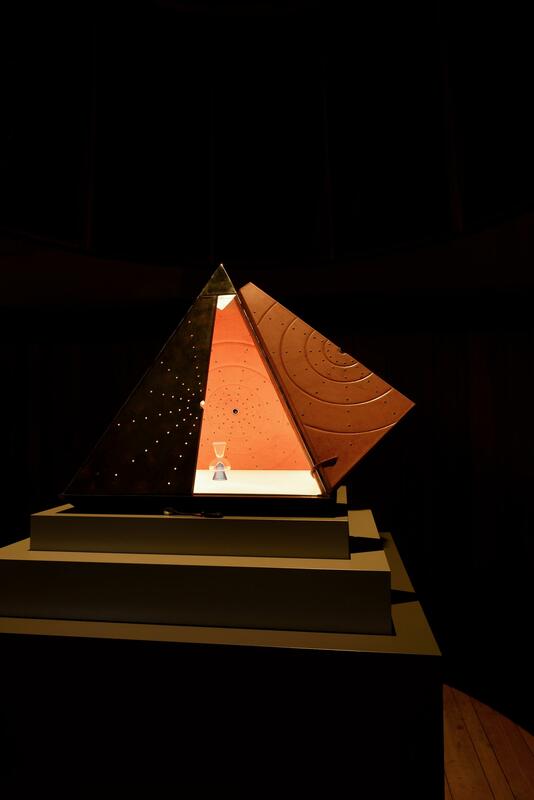 Starry Pyramid Cabinet A pyramid shaped tabernacle is placed on a wood base. The four plywood faces of the tabernacle are covered in leather. An LED has been fitted inside and light filters through the star shaped holes in the pyramid's faces. Setting leather onto different materials. Père Ventura Sala carefully sets leather onto a variety of different materials. Pere Ventura Sala was born and grew up in Barcelona. In 1966 he started to study design at the Centro Español de Nuevas Profesiones (Spanish Centre for New Professions) in Barcelona. Soon after, he joined Rafael Marquina’s architecture and design studio. A need for autonomy resulted in Pere leaving this field of work. He dedicated himself to creating objects that combined leather with metal, wood and stone. 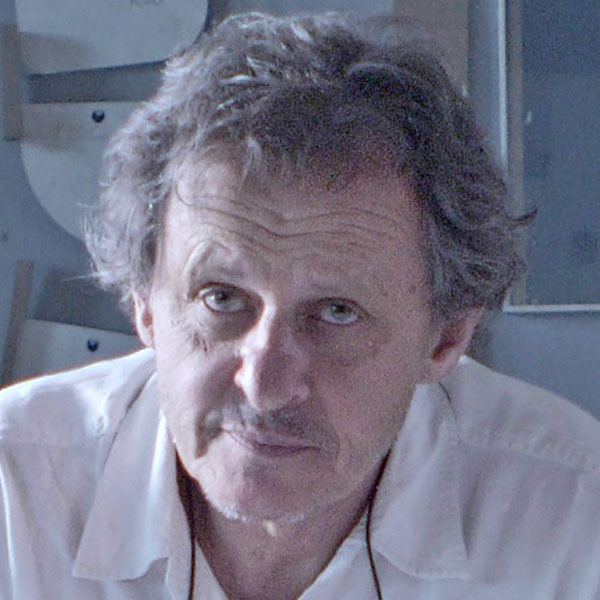 In 1989, he opened a workshop in Barcelona that focuses on small-scale production of pieces designed by the workshop as well as external designers. While leather has been at the centre of his work, he has also worked with numerous other materials. Pere has collaborated with a number of designers, including working on the construction of Oscar Tusquets Blanca's Gaulino chairs, produced by BD Barcelona. 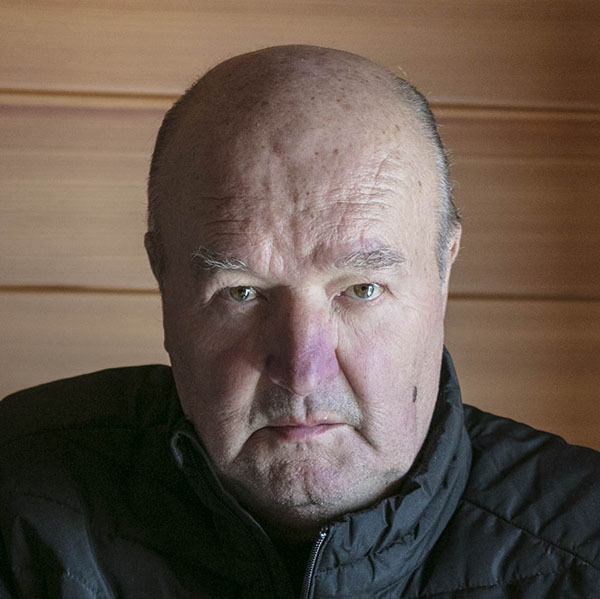 Born in Barcelona in 1941, Oscar Tusquets Blanca graduated as an architect in 1965 from the Escuela Técnica Superior de Arquitectura in Barcelona. Oscar was a founding member of Studio Per, and until 1984 worked on numerous projects with Lluís Clotet. In 1975 he worked on the Mae West Room in the Figueres Teatro-Museo with Salvador Dali. He later became a founding member of BD Barcelona Design and initiated a career as a furniture and object designer. 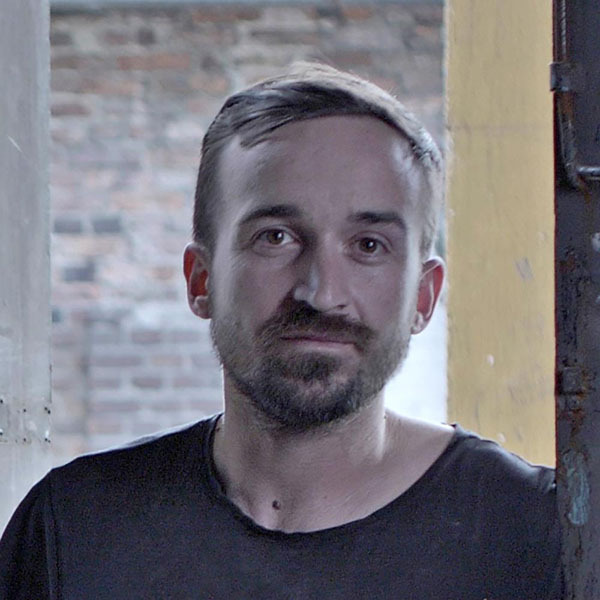 He has worked with international producers such as Alessi, Driade, Forwerk, Ritzenhoff, Quartett Casas and Nani Marquina, and his work features in museums such as the MOMA in New York and the George Pompidou Centre in Paris. One minute vase Ceramic vessel This piece combines the different styles of the creative duo: Marcel Wanders first created a ceramic vase in his unique "One-minute" style, before master artisan Wilma Plaisier decorated it using the traditional Delfts Blue technique. While this recognisable blue pattern had somewhat faded in popularity in its native Holland, Heinen Delfts Blauw sought and succeeded in reviving sales by targeting the bustling tourist industry in Amsterdam. Having finished his final exams Jorrit Heinen opened a shop in central Amsterdam with his father. He then enrolled in the crafts centre in Amsterdam for three months. 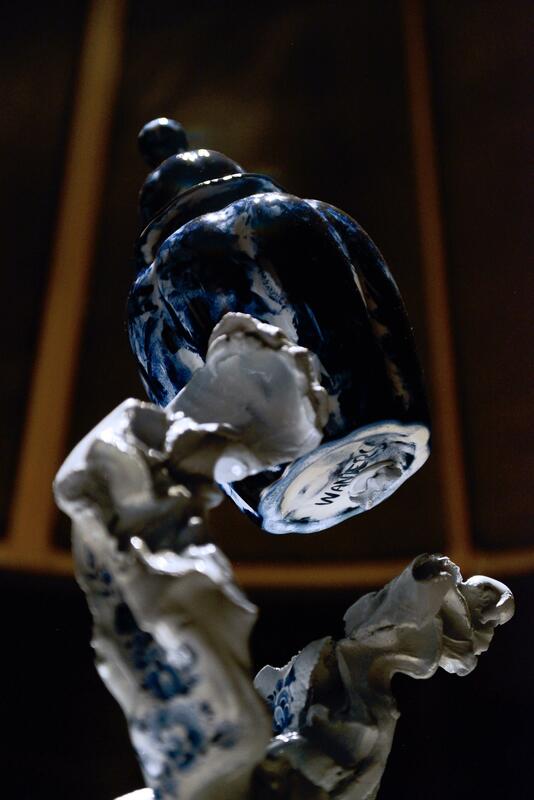 Here he studied and worked alongside masters and was able to improve and develop various techniques related to the production of Delft Blue. Over the years, Heinen Delfts Blauw opened shops in key touristic locations in and around Amsterdam including in Delft itself. Craftsmen working in the Heinen Delfts Blauw workshops are given a certain amount of creative freedom when painting and do not follow stencils. Each work is thus unique. Delfts Blue grew as a very popular alternative to Chinese porcelain in the 17th century. The clay is coated with a glaze that renders the pottery white, this in turn is covered with blue motifs. Delfts Blue grew as a very popular alternative to Chinese porcelain in the 17th century. The clay is coated with a glaze that renders the pottery white, this in turn is covered with blue motifs. While this recognisable blue pattern had somewhat faded in popularity in its native Holland, Heinen Delfts Blauw sought and succeeded in reviving sales by targeting the bustling tourist industry in Amsterdam. Having finished his final exams Jorrit Heinen opened a shop in central Amsterdam with his father. He then enrolled in the crafts centre in Amsterdam for three months. Here he studied and worked alongside masters and was able to improve and develop various techniques related to the production of Delft Blue. Over the years, Heinen Delfts Blauw opened shops in key touristic locations in and around Amsterdam including in Delft itself. Craftsmen working in the Heinen Delfts Blauw workshops are given a certain amount of creative freedom when painting and do not follow stencils. Each work is thus unique. Born in South Africa, Wilma Plaisier moved to the Netherlands in 1992. In 1999 she started to work as a pottery painter at Royal Delft. She would continue to work in this historic Delft pottery manufacturer, the last of the original 32 earthenware factories established in Delft in the 17th century, for 10 years. During these years, she trained in the art of painting pottery, mastering several techniques including the world famous Delfts Blue and Red-Blue-Gold. From 2005 to 2017 Wilma studied perspective, still life, figurative and portrait drawing, paint techniques and the history of art at the Art Academy (VAK Delft) in Delft. Since 2016 Wilma has worked with Heinen Delfts Blauw as a designer and master painter. 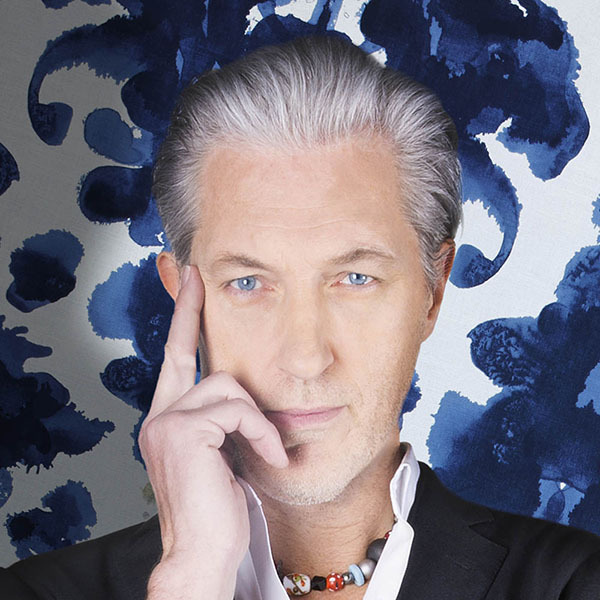 Marcel Wanders is a leading product and interior design studio in Amsterdam under the creative leadership and direction of Marcel Wanders and with the support of creative director Gabriele Chiave. The studio’s work excites, provokes and polarises as it seeks to bring a human touch back to design. The studio employs 52 design and communication experts. Over 1,900 of the studio’s products and interior design experiences can be found around the world, made for private clients as well as brands such as Alessi, Baccarat, Christofle, KLM and the Hyatt Hotels Corporation. The studio’s works are featured in numerous museums and galleries such as the Centre Pompidou in Paris and the Stedelijk Museum, Amsterdam. Celeste Blue Cabinet This handmade cabinet has two doors and metal shelves inside to hold bottles of unlabelled vodka. The marquetry inlay of this cabinet is made from veneer strips of two types of exotic wood – Paduk and Badi. 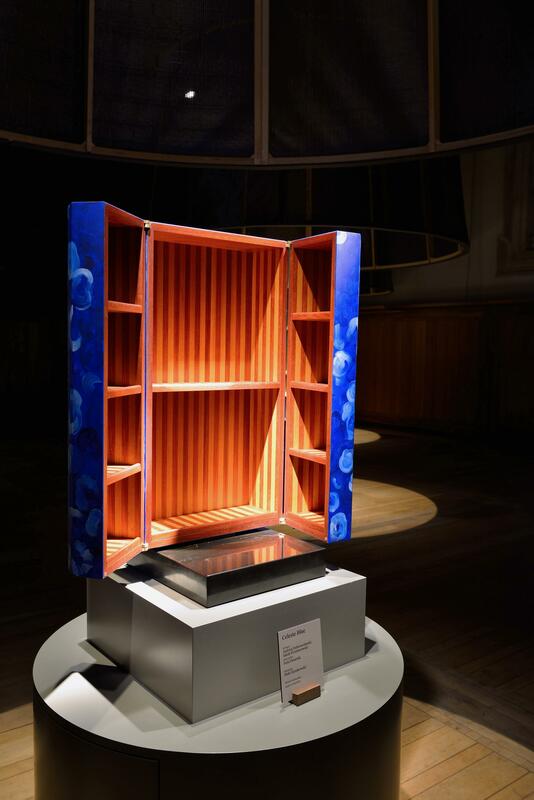 The swirling blue pattern of the exterior contrasts with the yellow-red interior of the cabinet. The cabinet sits on a polished black marble base made from Tunisian marble that reflects the colours of the cabinet. Jakub likes working with a designer as he can provide better solutions to working with a particular material. For example, Piotr says his design for the edges, the hinges and the way the box closes changed after talking to the artisans and devising better solutions. He actively wanted to find people to work with who took that collaborative approach. The cabinet doors are made by gluing four layers of plywood together which are then bent with clamps until the glue dries. The cabinet doors are made by gluing four layers of plywood together that are then bent with clamps until the glue dries. For the past three years, Andrzej Dobrowolanski & Jakub Przyborowski have worked from a shared workshop in the suburbs of Warsaw. Their work encompasses cabinetmaking, joining and carpentry. Pola Dwurnik works with oil paints, various drawing medium and collage. Her paintings aim to capture the strength of expression of figurative representation, attempting to portray the identity caught between inner emotions and outer expressions. On top of producing art, Pola experiments with innovative concepts of curating art exhibitions. She has launched a number of exhibitions and art series. Her work is found in museums in Poland as well as private collections around the world. Warsaw-born Piotr Sierakowski graduated from the National School of Visual Arts La Cambre in Brussels in 1981. At first, his research focused on mobile lighting and its integration into architecture. In 1982, he became an artistic director for Koch & Lowy in New York, specialising in the production of lighting, furniture and accessories. During the 80s, he expanded the scope of his business to include interior design. In 1992, Piotr moved to Bordeaux, France. During this time, his work moved away from industrial design and towards the creation of unique pieces that he made himself in his studio. Between 1994 and 2001, he managed the "object" workshop at the École des Beaux Arts (School of Fine Arts) in Bordeaux. Since 2006, he has settled in Paris where he creates pieces in wood, stainless steel and marble.